Ordinary Ahmed Aberi’s letter to Moshood Mustapha with above caption doesn’t worth a response but I had to do this rejoinder since I know that stupidity is contagious and I won’t like the celebration of that stupidity to go beyond the writer himself. The difference between a slave and a free-born is in the mind. A man once said he freed a thousand slaves but he could have done a million if they actually knew that were slaves. Rather than celebrating or massaging the ego of the Sarakis, that write-up by Aberi has done a lot of damage to the personality of Aberi himself. The write-up has shown us that Aberi is a poor student of politics who lacks intellectual facility to ignite positive political discourse; and also a mere boot licker who is just a tool in the hands of an emperor. I need to correct one of his erroneous belief that anybody who against Saraki is a Judas. Political powers are never given to anybody anywhere on a platter of gold. The Sarakis that became the gods of our land actually achieved that through fighting and suppressing others along the way.You are just one of their tools. A mad man doesn’t know that what’s wrong with him is bad, hence he goes to the market to dance nakedly. Somebody like Amberi doesn’t know that the structure of Kwara Politics with Saraki as the centre point is anti-democratic and doesn’t in anyway favour growth and development. Making a whole state an estate of a family is an insult on our collective dignity. Its a shame! Kwara need men and personality like Moshood Mustapha who are bold and strong to challenge status quo and seek for bettering treatment for Kwarans. We don’t want cowards who will rather choose to be part of hegemonic structure for fear of hunger and betray his conscience. Its only to somebody like Ahmed Aberi that having a political ideology different from the Saraki is a crime. This the highest form of political gullibility that I have seen. This mindset of somebody like Aberi must be ‘re-set’ by all of us. If this is not urgently done, then Kwara is not yet ready for freedom. 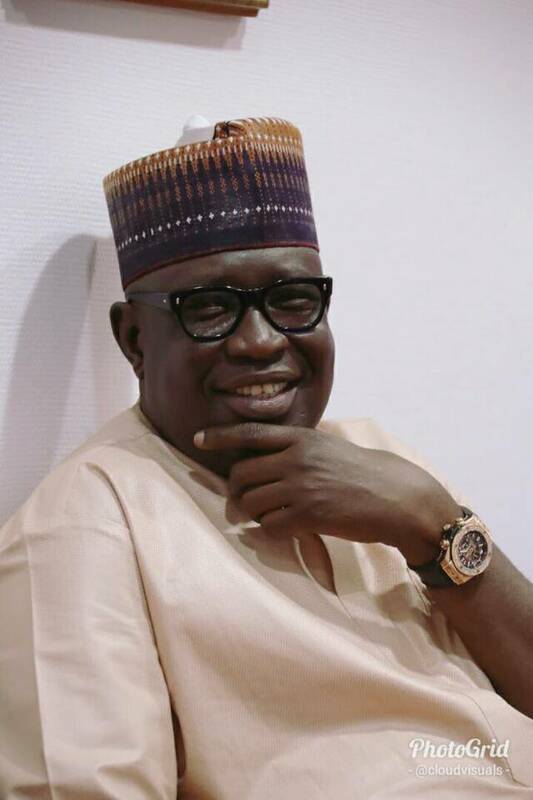 Moshood Mustapha has become a model by resisting the urge to continue to support and consolidate the old political order in Kwara and championing the platform for the new positive political era in Kwara. The narrative of our politics is changing is it will surely change in 2019.For Ahmed Amberi it is either you join us or you perish with the old order.This is just an advice!